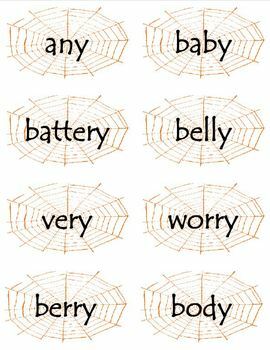 This phonics activity concentrates on the long e using -e and -y words. 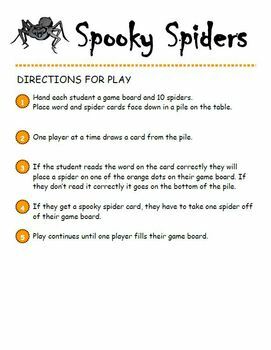 The file contains directions, 45+ word cards, blank cards, game boards, and place markers. 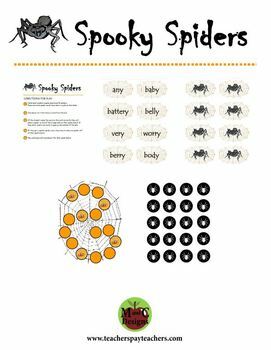 Kids will have fun playing Spooky Spiders while practicing a phonics skill. 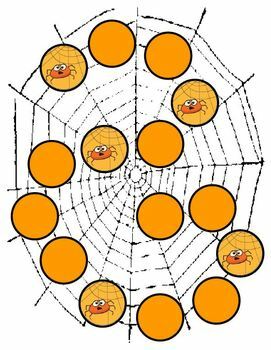 Created by M and C Designs.